The Women's Travel Group – The Pushkar Camel Market if you don't like camels…. Home India travel The Pushkar Camel Market if you don't like camels…. The Pushkar Camel Market if you don't like camels…. The Pushkar Camel Market is not a mere market.It is now considered one of the greatest travel experiences possible. Here are the details of our group tour including our luxury tented camp. This is a market you will wander into solo! Pushkar is a huge gathering of tribal peoples from all over Rajastan. The market is one of the last great traditional gatherings globally and because it is in India, it is particularly spectacular and colorful. 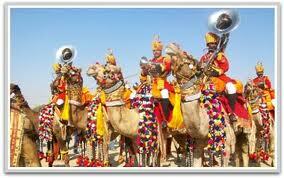 Here is what you will se e : Camel Races and performances: ever see a dancing camel? 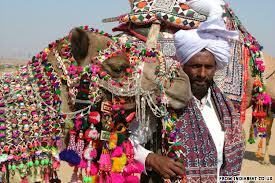 Camels are dressed and be-jeweled and their bells ring from ankles as well as from their colorful head dresses. There are stalls selling local jewelry, textiles, beads etc. 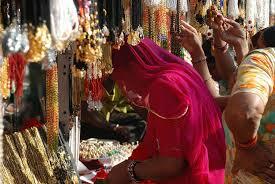 Pushkar is a trading and selling market as well. It is also where tribes arrange marriages and dowries. We will go with one family as they do this for their daughter. There temple dedications, and at night, you will see candle lit ceremonies and hear the prayers. The religious part of the festival is equally fascinating with pilgrims praying and bathing in the local lake. 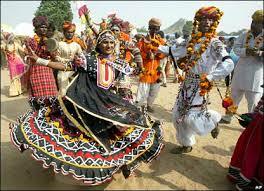 There is traditional music and dancing done by tribal people in exotic costumes. And competitions for wedding clothing, games, beauty contests and more. Don’t miss this event with our group. Note: some of these photos come from Wikipedia.org.